Critics attempt to negate Joseph Smith's vision in the grove experience because various accounts have been found some by Joseph himself. In fact not only critics of the Restoration movement but the issue has even caused division within ranks of Saints as well. If by logic we must reject Joseph Smith's grove experience based on differing accounts of the grove experience then are we are obligated as just Christians to reject the crucifixion experience for differing accounts as well?. Which is it? Inconsistencies appear in scripture often. Does their existance though cause us to reject the message of the Bible? What did the Chief priest really say? 27:40 JESUS OF NAZARETH THE KING OF THE JEWS in letters of Greek and Latin and Hebrew. 27:41 And the chief priests said unto Pilate It should be written and set up over his head his accusation This is he that said he was Jesus the King of the Jews. 19:19 And Pilate wrote a title and put it on the cross. And the writing was JESUS OF NAZARETH THE KING OF THE JEWS. 19:20 This title then read many of the Jews; for the place where Jesus was crucified was nigh to the city; and it was written in Hebrew and Greek and Latin. 19:21 Then said the chief priests of the Jews to Pilate Write not The King of the Jews; but that he said I am King of the Jews. 19:22 Pilate answered What I have written I have written. How about this: What really was written by Pilate? 15:28 And it was the third hour when they crucified him. 15:29 And Pilate wrote his accusation and put it upon the cross THE KING OF THE JEWS. 23:39 And a superscription also was written over him in letters of Greek and Latin and Hebrew THIS IS THE KING OF THE JEWS. Did it say anything at all? Some accounts say Pilate wrote the title but Luke just said a superscription was written over him with no mention of Pilate. Was Pilate really there or not? What exactly did the personages say to Joseph? Was there really two or just one? Do the Biblical variations of the crucifixion differ significantly from the grove experience in magnitude? Shouldn't we reject it all if we don't know? Now do we really reject the crucifixion because the accounts do not agree? Perhaps only one of the accounts was actually true and the other apostles were going from memory? Perhaps Matthew's or Mark's or Luke's or John's were all mis-statements and details exist which were all recounted in error. Will we ever know? Does it change our faith in Christ as the risen Savior? Was a doctrinal flaw introduced of eternal significance because inconsistencies exist? If the logic holds true then countless Christians have been led astray because of the elusive truth contained in this precious passage. The problem is not that differing accounts logically prove an event false. Rather the real problem becomes the logic we use to 'prove' the validity of an event. We must use sound principles in applying sound logic to discern real truth and here is the underlying fallacy in the grove experience debate. Our logic is not being applied evenly to events of the Latter-Day restoration as well as Biblical Christian history. This is usually the tactic of how Satan stirs up doubt in the minds of believers. Regarding the crucifixion I accept that a title was indeed placed over the head of Jesus. To some who witnessed it it bore the truth of His majesty; to others it was the target of His mockery. What were the specific words written? I may never know. Likewise a young man who lacked wisdom sincerely sought his Heavenly Father in the woods of Palmyra New York. From this boy's encounter with the Eternal Father the Lord poured out His Spirit in response and the world will never be the same. Herein lies the truth of the issue. 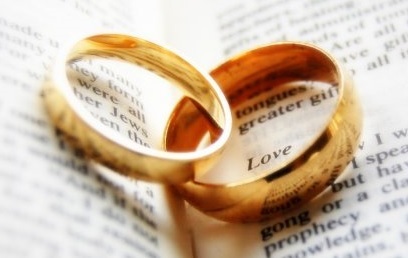 God designed marriage to symbolically teach humanity about His relationship with the church. Learn the truth about God's intention for marriage--a message conveniently distorted by the culture...and mis-understood by the church. The Book of Mormon contains the most beautiful message--all are called and welcomed to come unto Christ. Searching for scriptures regarding sexuality and homosexuality? It is a popular search topic and with good reason: people want to know what God's word says about it.